Last week, the University of Alabama at Birmingham treated brain cancer patients for the first time utilizing Varian HyperArc™ High-Definition Radiotherapy, making the academic medical center the first in the United States to use this technology for complex radiosurgical procedures. With HyperArc, which Varian Medical Systems tested and partly developed in collaboration with UAB, clinicians can deliver more compact radiation doses that closely conform to the size, shape and location of brain cancer tumors while sparing more surrounding healthy tissue. Photo courtesy of Varian Medical Systems.About 20-40 percent of cancer patients will develop brain metastases. More than half of them will have more than one tumor in the brain. The risk of a metastatic brain tumor depends on the kind of cancer and how advanced it is when it is diagnosed. Typically, an increasing number of patients return for retreatment of their disease. “HyperArc allows us to plan and deliver state-of-the-art radiosurgery to highly complex cases efficiently with a very high degree of dose compactness and conformity, and has made it possible to treat patients with larger numbers of brain metastases very aggressively,” said John Fiveash, M.D., professor and vice chair for academic programs in the UAB Department of Radiation Oncology. He is also a senior scientist at the UAB Comprehensive Cancer Center. HyperArc contains a prescriptive workflow that includes simulation guidelines, patient immobilization, treatment planning, patient setup, imaging and pre-determined delivery sequence. “HyperArc allows us to irradiate multiple tumors at the same time without repositioning the patient, which provides better management of patient movement while saving time for the patient and the clinical team,” Fiveash said. “Basically, HyperArc is designed to enable consistent, high-quality planning and seamless one-click delivery,” said Richard Popple, Ph.D., professor and assistant vice chair for Physics in the UAB Department of Radiation Oncology. He is also an expert in novel treatment planning techniques and clinical implementation of new technologies and a senior scientist at the UAB Comprehensive Cancer Center. HyperArc addresses concerns about complexity, patient safety, cost and human resources that can make radiosurgery inaccessible for many patients and unfeasible for many institutions. For the past several years, UAB has been working with Varian to bring HyperArc technology to fruition. UAB has been involved with four other institutions in developing optimization tools to enhance the dose and treatment delivery. They developed dedicated algorithms to ensure efficient workflow, and new ways of looking at multiple targets simultaneously, all while reducing the complexity of the planning process for clinicians. In addition, UAB helped devise metrics to use for single and multiple targets that can be customized. “We are able to help more patients without the need to invest in additional or new equipment,” Popple said. 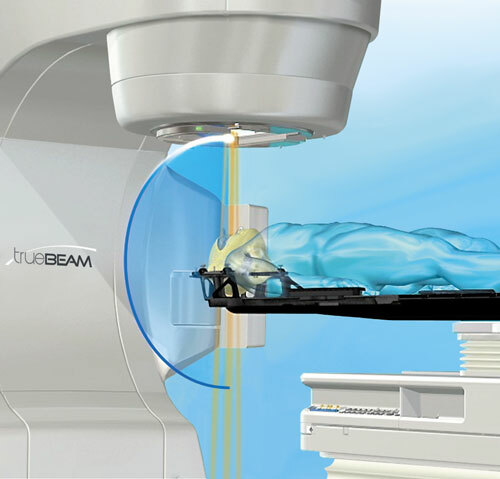 HyperArc capitalizes on the unique capabilities of Varian’s TrueBeam™ and EDGE™ treatment systems, which UAB already uses. 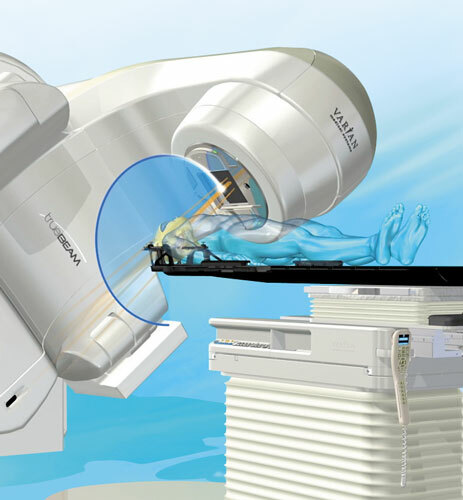 The advanced HyperArc treatment can be completed within a conventional treatment timeslot, making it an efficient approach compared to other radiosurgery techniques that treat each target individually or separately and take considerably longer. Patient safety was a central pillar in the product design philosophy. “Fully automated treatments present operational challenges because of patient safety concerns,” Popple said. “We address this challenge by using virtual dry runs and collision avoidance systems integrated into the treatment machine.” Specifically calculated arcs and couch positions are compatible with patients’ clearance to the machine. Even the hardware that the patient wears is digitally modeled in the treatment planning system for safe delivery and ensuring minimal patient movement. Tumors in the brain are usually distributed throughout the brain and can affect many basic functions, making it one the most complex of all surgeries. This technique provides an alternative targeted approach when surgery might not be possible, or the tumor is located in a compromising area.